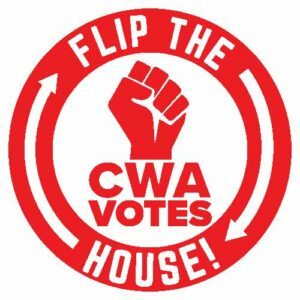 Join CWA Local 1037 as we knock on doors of fellow union households to let them know how important the midterm Congressional races are, especially in New Jersey. With ongoing attacks on workers’ and union rights, we must elect pro-union candidates to Congress who will put the interests of working families first. Click here to sign up for our Labor-to-Labor walks. Control of the House of the Representatives in 2018 will be decided by a small number of swing districts, places where the last election was decided by a thin margin. You can make a big difference in helping to take control of Congress away from anti-worker and anti-union politicians, and electing pro-worker candidates. 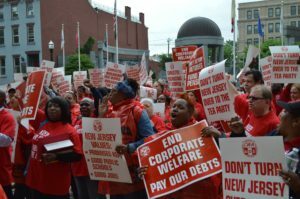 Join us in this critical effort by showing up to our labor walks! Click here to sign up for our Labor-to-Labor walks. This entry was posted in Uncategorized on October 5, 2018 by cwalocal1037.